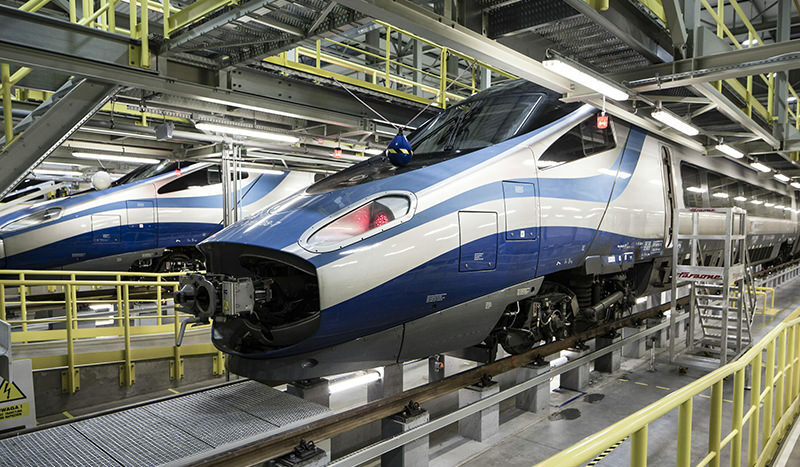 Alstom has started overhauling the first of 20 Pendolino trains with wheels to be replaced and bogies and traction motors to be inspected. The trains began operating in December 2014 and are the only high-speed trains in Poland. They have all reached 1.2 million kms, at which point they undergo a first level overhaul. This work will be performed by Alstom at his depot in Piaseczno, in central Poland, where each train will spend a month. Director of Alstom service in Poland Artur Fryczkowski said: “Alstom has invested in a new unit in Piaseczno to perform these heavy maintenance activities. “30 new employees were hired and the purchased equipment will be used to carry out further stages of higher level overhauls.